Using a new carpet cleaning machine for the first time can be tough, especially if you’ve never used one before. Fortunately, manufacturers have made operation of these machines easy. In fact, if you can operate a vacuum cleaner then there’s a good chance that you can operate this with no problem. To assist you further, here are some tips on how to operate carpet cleaners. For a step-by-step guide on using carpet cleaning machines, check out the How to Use a Home Carpet Cleaner Machine page. First things first – read the manual. Find out how to operate the product and which settings will work for your recent needs. Some owners tend to skip this part. 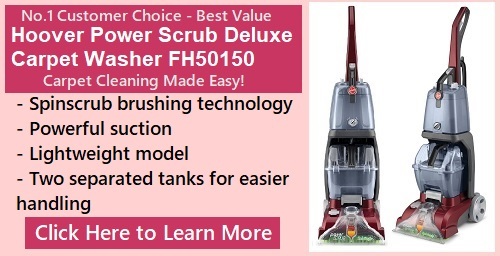 This is a bad idea since there are lots of simple insights highlighted in the manual that will allow you to get the best out of your carpet cleaner. You can also preempt any operations that could lead to voiding the warranty. By reading the instructions, you’ll be sure to follow everything to the letter, and still get the item fixed for free in the unfortunate event that’s there’s a problem with the machine. 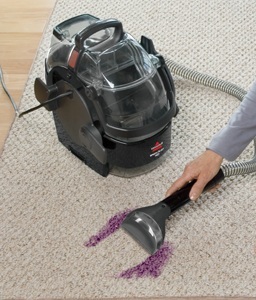 For best cleaning results, vacuum the carpet before starting the carpet cleaner. The vacuum will help remove all the dirt loosely lying around on the surface. With this removed, the carpet cleaner can concentrate on the embedded materials on the surface, ensuring that the fabric is as clean as possible. Don’t forget to vacuum the carpet after drying as well. Remove the furniture on the carpet or at the very least, cover it with plastic – especially the leg area. Keep in mind that carpet cleaners use a powerful detergent that might mess with your furniture. If there are any parts of the carpet with heavy staining, it’s a good idea to spot clean or pre-treat the part first before starting with the machine. This will ensure that the stains are more deeply addressed so that they will be properly removed when you do the general shampooing. There are currently pre-treatment products specifically made for stain removal. However, soaking the area with regular carpet detergent also works well. For more tips on cleaning tough stains, check out the Removing Stains From Carpets guide. Always start on the corner of the house away from the exit or the door. Keep in mind that you’re not supposed to walk on the wet carpet for hours so think about how you’re going to move from there. End the cleaning near the door so that you can come out and enter the house through another area. If any foam or detergent gets splashed on the furniture, remove this immediately. Carpet shampoos may be a bit harsher on the furniture and cause damage. 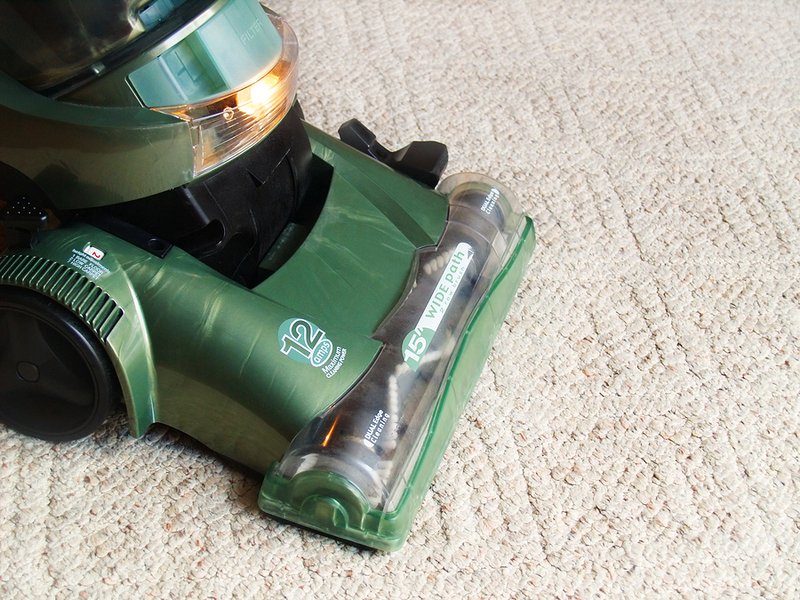 It can take the carpet as long as 8 hours to completely dry out, depending on the carpet shampooer model you’re using. Steam cleaners like the Hoover SteamVac typically keep the carpet dry but others may not offer this luxury. For this reason, it’s a good idea to open some of the windows after the job. This way, air will enter the room and help with drying. Some people push down on the carpet cleaning machine thinking that this would help the quality of the clean. In truth, this can only damage the cleaner and does nothing for the carpet. If you want to ensure that the spot is clean, you can try running the machine several times on it without increasing pressure. Figure out the logistics of electricity usage before actually plugging in and starting the cleaner. Unless you have a portable cleaner, chances are the power cord will be tailing you throughout work. Make sure there’s enough cord to cover all the carpet area. Also, keep your eyes on the cord as you don’t want the cleaner to run over it. Estimate how much carpet area needs to be cleaned and use the corresponding amount of solution. You don’t want to find yourself stopping in the middle of the job in order to refill the tank. Some models offer a manual guide on this but if they don’t, try filling the tank in half and estimating how much coverage is made. Use this as your basis next time, depending on the outcome. Make sure to move the cleaner in a systematic order starting from one corner to another. You want to make sure that all spots have been cleaned to satisfaction. 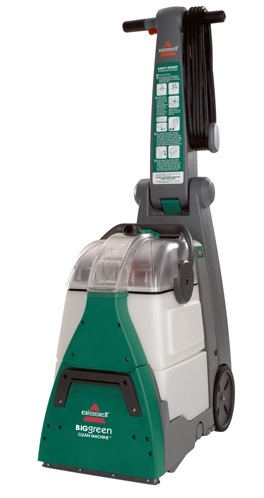 The way you use a carpet cleaning machine will affect not only the quality of the job but also the life of the device. Keep these tips in mind, as well as read the manual, to get the most out of their carpet cleaner. To find a great carpet cleaning machine for home use, check out the Carpet Cleaning Machines Reviews here. If you need more details, check out the Compare Carpet Cleaning Machines section for a side-by-side comparison of the best home carpet shampooers.